The next great news? I'm going to make this a weekly link-up! 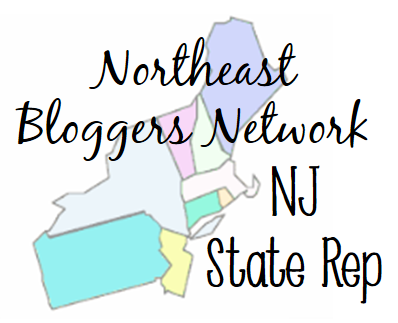 This first post is meant to be as an introduction and also to help spread the word to other bloggers. 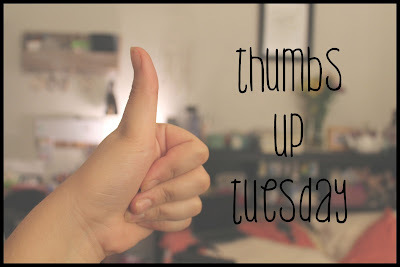 If you partake in "Thumbs Up Tuesday" then you can link-up here on my blog every Tuesday with your post! Not only is it a great opportunity to beat writer's block (if you have it!) but all link-ups are great ways of getting your blog exposed and also finding new blogs to follow. Stay tuned for next week's link-up! I will also be posting an image you can use later on this week. ...parents who are willing to help you out. As much as we argue, I'm very grateful for the parents I got stuck with (hahaha). They are supportive of me and always have been. I like to be as independent as possible, but whenever I do need help and ask for it, they always come through for me. ...finally being able to sleep with the window open. This is one of my FAVORITE things about late Spring and Summer. Even in the Summer, I try not to use my A.C. I love going to sleep with a warm breeze coming in through my window and that lovely warm air smell. Plus, hearing all the crickets (and other creatures I certainly would not want anywhere near me) at night is such a soothing sound for me. ...Skype dates with long-distance friends. Okay so technically I haven't gotten to do this yet (but I will tonight!) but I'm so thankful we have video chatting. Of course it's not the same as being in person, but it certainly helps when your friends have moved almost half way across the country! It's also awesome because I don't have to go out and can just stay at home in my pajamas. Ha! ...finding a drugstore hair dye that actually works. My hair is naturally dark brown, but I've been dying it a light medium brown for a couple years now. I have to go to the hair salon so often and it gets to be pretty pricey, but I sacrificed the money because every time I've tried to go lighter with store bought hair dye in the past it's been a complete disaster. My mom came across a new dye that's meant for dark brown hair so I just went for it! Really scared of the outcome, but my roots were covered and the rest of my hair became a gorgeous color. Not too shabby for $11! 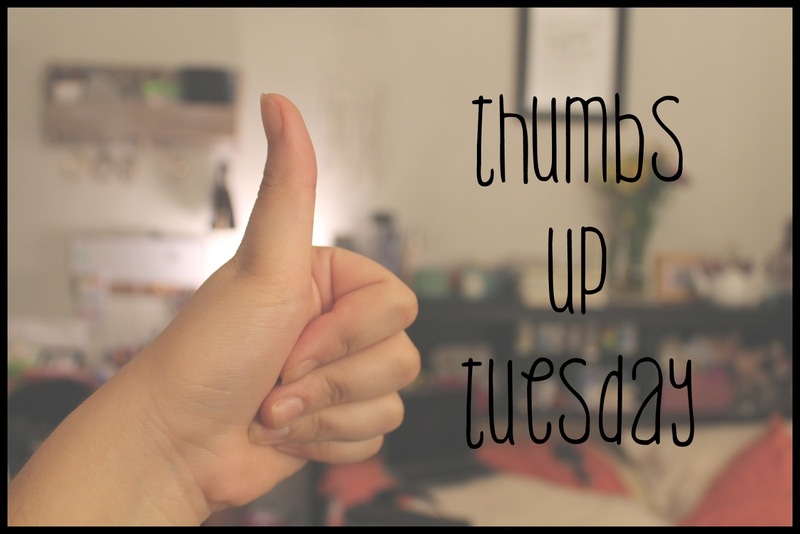 What's something you want to give a thumps up to from this past week? Definitely agree with the ~ride by the full moon idea~! Whenever I was younger and couldn't get my thoughts together, I'd drive late at night by myself with the windows down, singing along to some of my favorite tunes. Wish I had time to do that now haha! This is such a neat idea - I think I'm going to participate! Can't wait to see all the posts!